Members of the AIMS Executive. 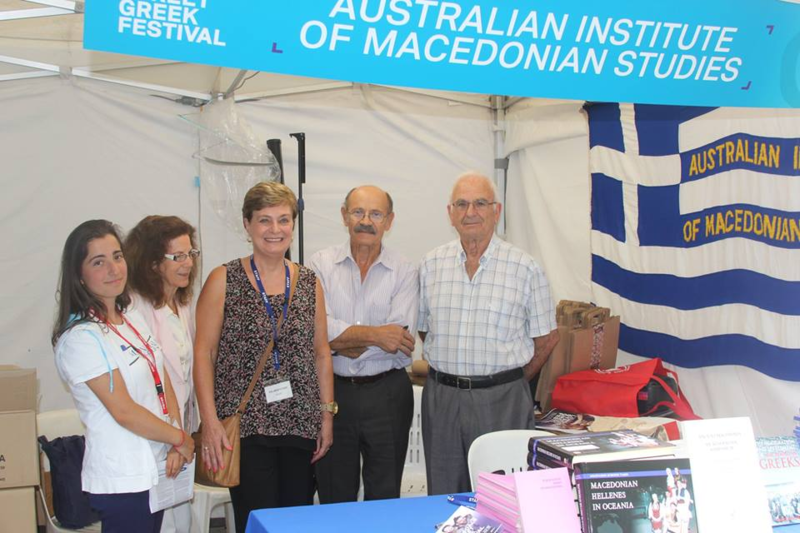 The Australian Institute of Macedonian Studies (AIMS) participated in the 2018 Greek Festival. During the two-day festival, many thousands of people strolled along Lonsdale Street enjoying Melbourne’s largest street party highlighting Greek culture, food and entertainment in the city’s historic Greek Precinct. Featuring three stages of free entertainment, children’s activities and over sixty food, drink and craft stalls as well as many community stalls. Some of the communities represented included the Pontiaki Estia, the Panepirotic Federation of Australia, the Cretan Brotherhood, the Society of Kalamata, the Pantrifilian Association, the Pam Messinian Association Papaflessas, Alphington Grammar School, Fronditha Care, Pronia, Agapi Care and of course AIMS. The AIMS stall was very well attended with many people stopping and asking questions. The publications which were handed out, including journals and magazines, were well received. The festival was an opportunity for the Institute to promote its aims and objectives and to engage with people about various issues. 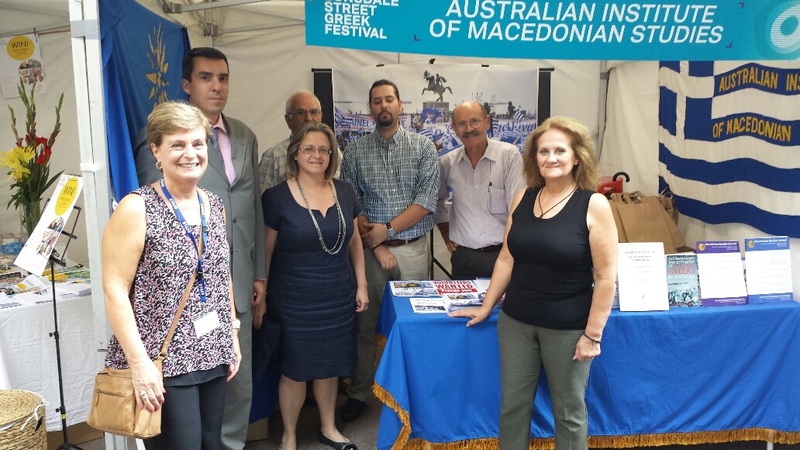 The AIMS stall received visits from various dignitaries, during the weekend, including Her Excellency the Greek Ambassador Ekaterini Xagorari, the new Consul-General of Greece in Melbourne Dimitrios Michalopoulos, the President of the Greek Community Bill Papasteriadis and other members of the Greek Community Executive, many other community representatives and of course the general public. Members of the AIMS Executive with the Ambassador and Consul-General.